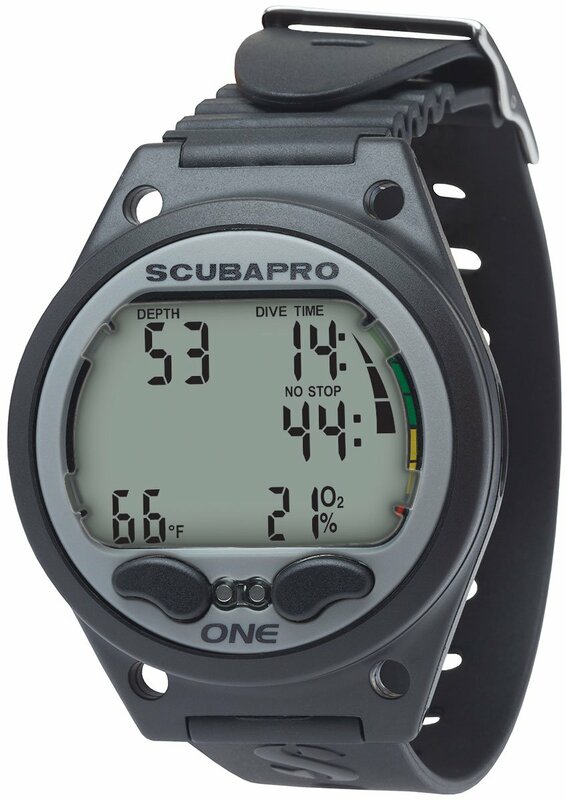 An ideal dive computer for diving schools and rental stations, the compact, single mode, intuitive Aladin One is available as a wrist mount or as a capsule in a two- or three-gauge console. Nitrox compatible 21-50% in 1% increments. Reset function is ideal for dive rentals. 12 and 24 hour mode. Adjustable ppO2 between 1.0 and 1.6bar. Dive/Freediving logs can be stored and analyzed with a PC/Mac via infrared technology. CR2450 user replaceable battery rated for two years/300 dives.